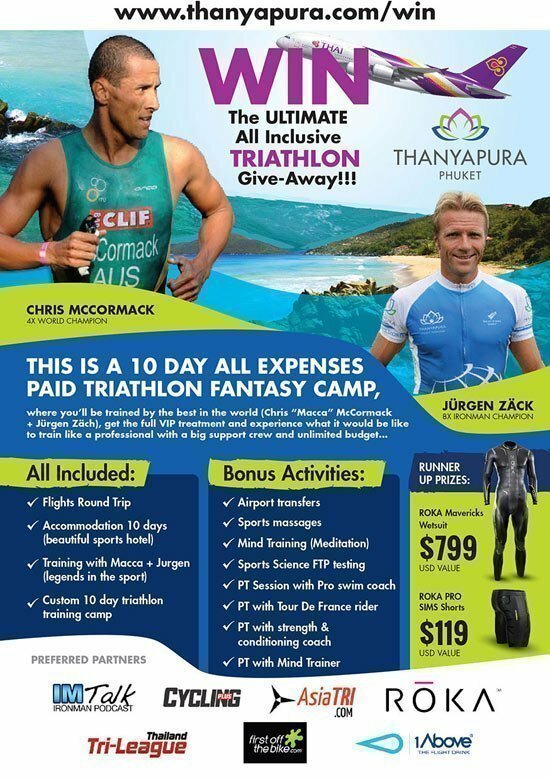 PHUKET, THAILAND – Thanyapura Phuket is giving one lucky person the chance to spend 10 days in triathlon nirvana, an all-expenses paid VIP fantasy camp hosted by triathlon greats Chris McCormack and Jurgen Zack at the internationally renowned, state-of-the-art sports training and health facility. 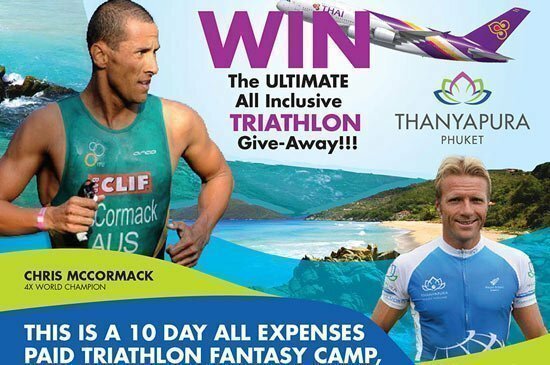 The competition is open to people aged 18 and over and runs until 1 May 2015 (enter here:http://www.thanyapura.com/win) with the winner flown to Phuket on a round-trip ticket from anywhere in the world for a camp customised by four-time world champion Mr McCormack and eight-time Ironman champion Mr Zack. The first-class experience includes accommodation at the outstanding Thanyapura Sports Hotel, sports massages, functional threshold power testing and personal training sessions with former Tour de France cyclist Nick Gates, a professional swimming coach, a strength and conditioning coach and a mind trainer. Mr McCormack, Thanyapura Executive Chairman, said the success of the facility’s debut Supercamp last August convinced him of the need to open the world-class training experience to everyone. “What we’re offering is the chance for age-groupers to train like a pro in an environment that lures some of the planet’s best triathletes,” he said. “Being immersed in that setting for 10 days under the guidance of Jurgen and myself promises to introduce you to something new about yourself as an athlete, while you will receive all the knowledge needed to become a better triathlete. Thanyapura, Asia’s leading active healthy lifestyle destination, has hosted many of the world’s top triathlon professionals during major training blocks, including two-time ITU long-distance world champion Caroline Steffen, two-time Ironman 70.3 world champion Michael Raelert, his brother, Andreas, the iron distance world record holder, and Ironman world champion Pete Jacobs. Thanyapura Phuket is a sports training, education and health destination set on 23 hectares of pristine land located close to Phuket International Airport and the resort island’s famed beaches. It utilises a patented mind, body and soul coaching philosophy to get the best out of people through its team of elite educators, coaches, sports scientists and medical and health practitioners.